Can it really be over 6 months since I wrote the last blog? I recall my tutor highlighting the importance of regular blogs, every day, week, or month, whatever works for the individual but `you must be regular in your posts` she told us. Woops, I started off with such good intentions but then I guess busy family life and work took over. So lets try again……. April in Mallorca, the largest of the Balearic Islands, is a real `feel good´month as there is lots of positive energy around. Hotels, apartments and restaurants have openend up with fresh new looks and residents are eager to return to work and get a routine back into their lives. The first visitors have arrived daring to wear flip flops when the locals are still in boots, the nights are longer, the sun is shining, the fields are full of colourful wild flowers, bright colours re-appear in our clothing, cyclists gather in every corner of our beautiful Island as we look forward to the start of another summer season. Palma de Mallorca was recently voted the best place in the world to live and this has sparked the interest of those people who have never visited the Island (yes,there are still some) to come and discover what they have been missing all these years. The Island has often been called the Island of contrasts referring to the stunning changes of landscapes and atmospheres to be enjoyed across the Island. Many visitors love to stay in hotels, apartments or villas in the resorts of Pollensa and Alcudia which are just so perfect for couples and families alike, with safe pedestrian promenades, great restaurants and of course sandy beaches with sparkling waters to provide the perfect place to relax and enjoy a holiday. This winter I have been busy over seeing the full reformation of one bedroom sea front apartments Paloma and Patricia which offer the most spectacular views of the Bay of Pollensa. The owners of the 3 bedroom sea front Apartments and Duplex Pedro in Playa de Muro have also been refurbishing some of their apartments. Every year owners make changes to ensure their visitors are comfortable and wish to return again. 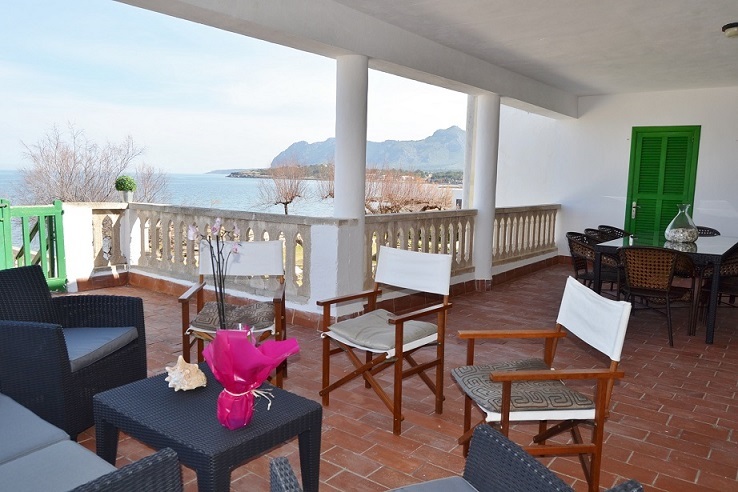 Sea front one bedroom Apartment Patricia or Paloma with stunning sea views. 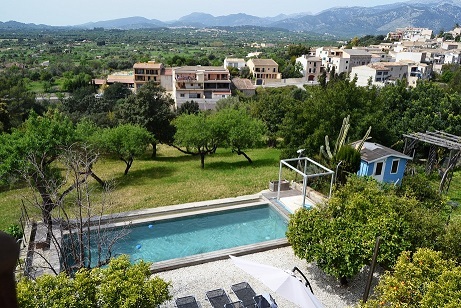 Two beautiful properties which the owners have reformed to a high standard and for the first time are offering them for weekly rental are the sea front 4 bedroom Apartment Barcares, Alcudia and the 4 bedroom Villa Xisca Pollensa with private pool. Both offer wonderful views of the Bay, perfect as you relax on the terraces with a chilled glass of cava! Salud! 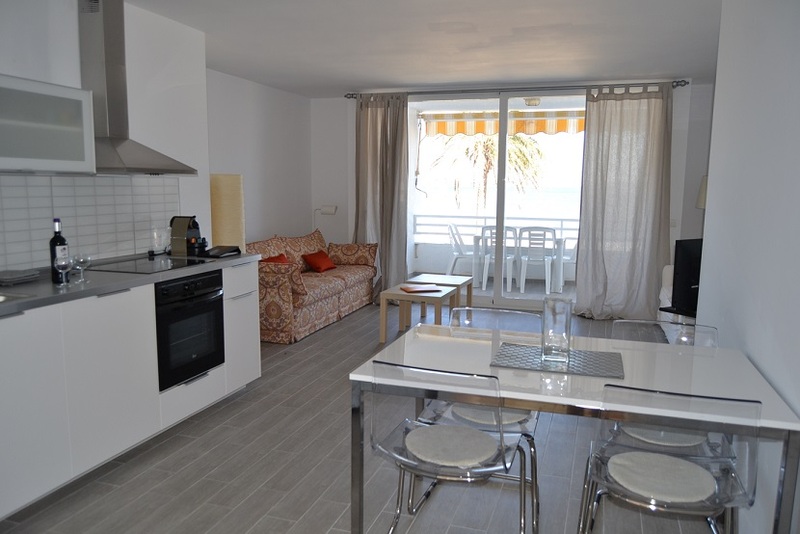 Sea front 4 bedroom Apartment Barcares, Alcudia, just footsteps from the sparkling sea. An increasing number of families now choose to holiday inland to enjoy the traditional Mallorcan villages and countryside, with the knowledge that a day on the beach is only 15/20mins drive away. Luxury Villa Casa Clara can sleep up to 14 people and is perfect for family holidays or celebrations all year round. Villa Felip is located just 5mins walk to Campanet village square with a selection of restuarants and bars and can sleep up to 6 persons however during spring and late autumn special prices are available for just 2 persons using the ground floor self contained unit with exclusive use of the pool and garden. A wonderful opportunity for a couple to enjoy all the space of a larger property without paying a supplement. The pretty village of Sencelles with a couple of excellent restaurants I can offer Villa Patrizia with extensive gardens, pool and views. Villa Felip in village of Campanet. Private garden and pool with countryside views. Maybe you are one of many visitors who have a dream of owning your own property on this wonderful Island. The pound is at a high against the euro and the property market is finally on the move again after a 7 year hitch. In fact, recently released figures for February 2015 showed a 21% increase in property sales in the Baleares on 2014. I am delighted to have assisted two families very recently finally find their perfect second home on the Island. 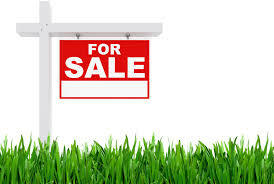 Due to demand I am now actively working in property sales between Puerto Pollensa and Campanet and will be delighted to help you with your search and care for your property in your absence after the sale. `Protecting your dreams´is what Parasol Property Rentals does best. Holiday rentals, sales and property care, just contact me with your requirements and sit back whilst I do the work for you. I am now going off to the Pollensa wine fair which is an enjoyable annual event, enjoyed by locals and visitors alike. Catch up with you next month.